Bösendorfer has been not only setting new standards in building grand pianos but has transferred experience, tradition and know-how of decades of sophisticated craftsmanship to upright pianos. 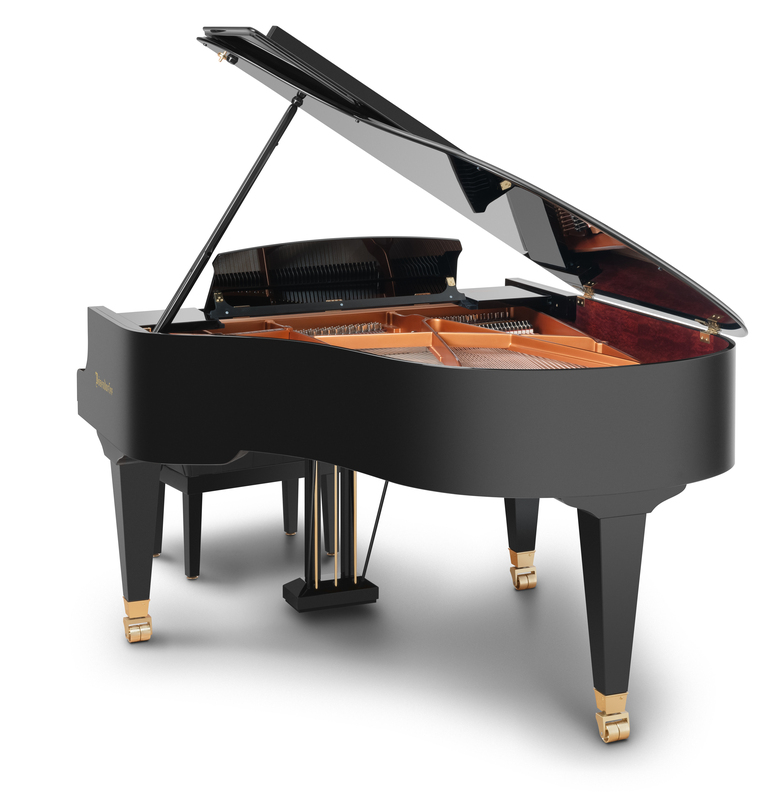 The Bösendorfer Grand Upright 120 fits every room and unleashes voluminous Bösendorfer tones. Our Grand Piano 155 has been designed to surprise at 5’1” by mechanical refinement in action, responsiveness of touch and repetition, key characteristics of bigger Grands such as 170 and 200. Designed in 2012, this Grand Piano soon found many followers who would not like to compromise artistic expression and freedom in articulation in an urban setting. Ludwig Bösendorfer draws the first sketches of the Grand Piano 170 for the well cultured salon society of Imperial Vienna. The result is an enchanting instrument for the private cheerful gatherings of the bourgeois, noble folks. More than a century later, this Bösendorfer Grand still enjoys popularity. Versatile. The Bösendorfer Grand Piano 185 is a true cosmopolitan: whether being your personal musical partner at home, a studio grand or as a concert instrument for the selected audience, this Bösendorfer Grand captivates any environment. Connecting private space with public appearance. Brilliant in sound and expression. Experience the unique qualities of the new VC - Vienna Concert – technology, 7’ in length. Based on the success of our Concert Grand 280VC – having captivated audiences and artists at world renowned stages – we have further upgraded the design of our 214, combining over a century of experience in piano manufacturing with the latest technological advances . Gazing at the extra black keys of this Bösendorfer Grand the pianist immediately realises that this instrument is far from ordinary. This Grand Piano – like the bigger brother 290 Imperial – has been crafted dedicating to the tradition of Viennese piano building. By its unique design and size this piano delights by an exceptional multitude of colours similar to an orchestra. A sound as clear as diamonds, yet playfully gleaming like beaming sparkles of light. The new Concert Grand 280VC – Vienna Concert – takes audience and artists by surprise. Our engineering team has established a symbiosis of Bösendorfer’s legendary traditional approach to piano manufacturing and most recent, sophisticated scientific modelling and measuring technology. This very Concert Grand has been reimagined from scratch, yet, remains true to our sound philosophy, further advancing our resonance case principle. Renowned pianists – trusted masters in the art of sound crafting – have been involved in perfecting the acoustic articulation of our 280VC. Vienna, 1909: The Italian composer, conductor and pianist Ferruccio Busoni meticulously transcribes the famous organ works of J.S. Bach. He soon realises that he requires additional bass in order to do Bach’s masterpieces and the immersive sound of 16 to 32 feet octave basses found in an organ justice. Ludwig Bösendorfer is ready to take on the challenge and builds the first prototype having full 8 octaves in tonal range. Not only Busoni starts to appreciate the exceptional qualities of the – later coined – Imperial Concert Grand.